Wish to see how the famous personalities believed in dedicating life to the service of humanity, to make it a better place to live? How the fundamental of humanity is basically to do well in life? 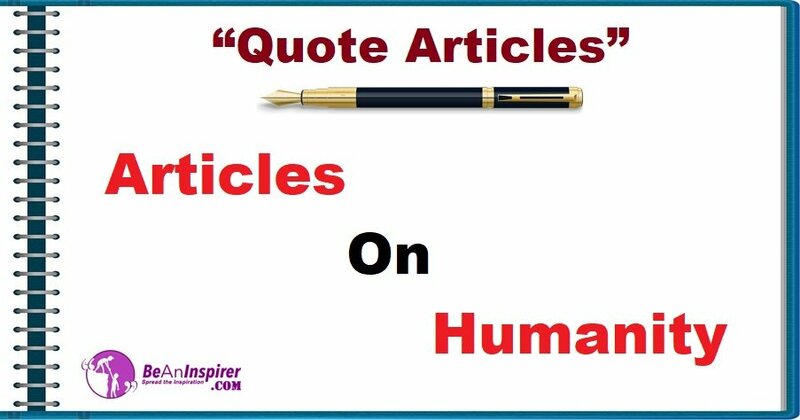 Head out to the Quote Articles section and read Articles on Humanity combined with beautiful nature photographs.